This tension is at the heart of DW Gibson’s “The Edge Becomes the Center: An Oral History of Gentrification in the Twenty-First Century,” a noisy, tender tour of New York much in the mode of Studs Terkel, and a companion volume of sorts to Mr. Gibson’s “Not Working” (2012), which featured interviews with people who had recently lost their jobs. The new book is a slurry of voices. 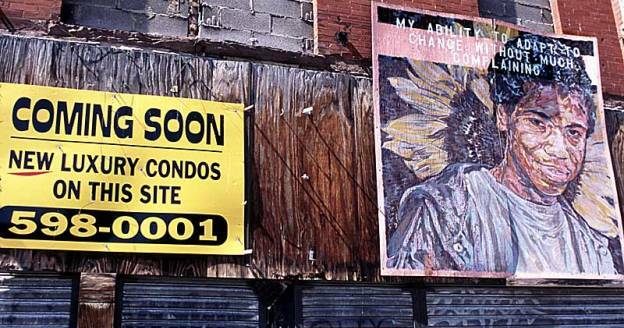 Mr. Gibson talks to the gentrifiers and the gentrified, state senators and the homeless men of the Bowery Mission, developers and community organizers, celebrated artists and the brokers who hype real estate as the art form of the moment.